Clowning is a Journey into Your Heart! A clown endlessly discovers the world, through new experiences, meeting people, objects, situations without judgment, no past and without projecting the future. 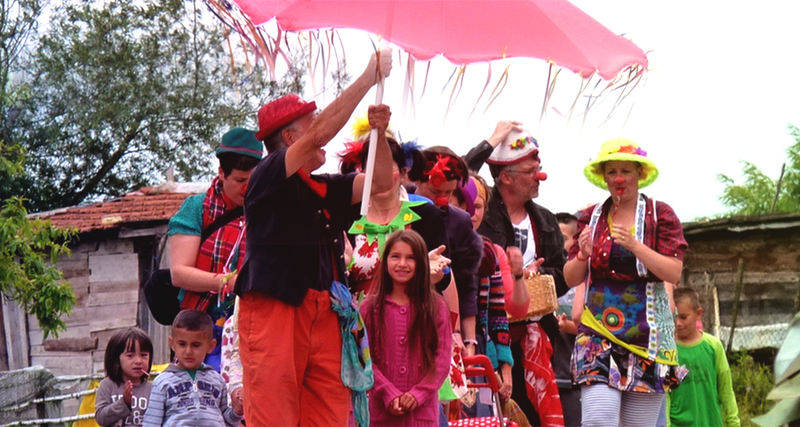 Like children, the clown is full of wonder, curiosity, playfulness, pleasure and joy. A part of ourselves that overtime we have learned to control, to restrain in order to become more pragmatic, to fit the daily life of obligations and social codes. This intuitive being still lives deep inside of everyone, and by setting him free, we make more space for ourselves. We discover some hidden treasures, talents, pleasures, strengths and also some sensible and fragile parts of our being. Every clown is unique, looks at the world in his own way, with his own emotions and experiences, with a unique physical appearance and his own way to move. Clowning is a journey to our uniqueness, to (re) discover it, to enjoy and to develop and to protect it! Participants of the workshop are invited to explore, to feel and listen deep in them, in order to find their personal clown. 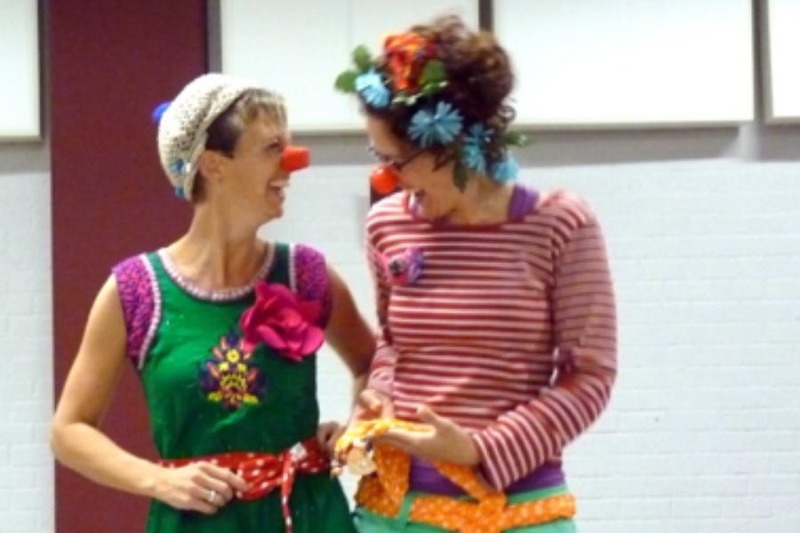 Through exercises, games, improvisations, dancing, with costumes and the red nose, we explore many of our talents in a light atmosphere with fun and humor as heelers! Her name is Laurence Quetel, she is French, and lives in the Netherlands for 15 years now. 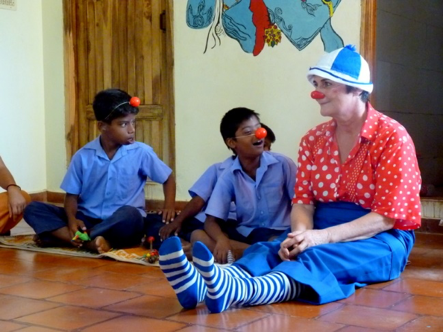 She performs both in- and outside the country as a contact clown and clowns trainer. She plays in hospitals, nursing homes and other healthcare institutes for patients of all ages with or without mental and/or multiple disabilities. She regularly takes part in humanitarian projects at home and abroad with a.o. Patch Adams. 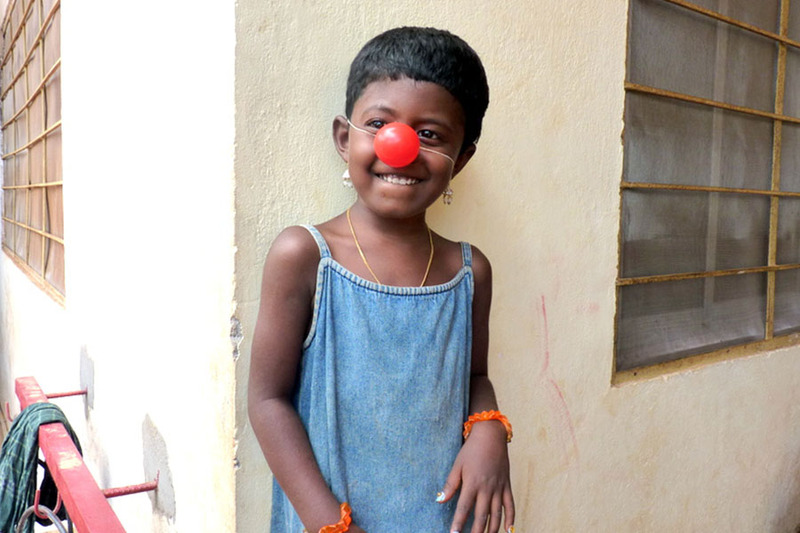 She has followed many courses in clowning, street theater, dance, musical expression and personal growth. She also has an extensive professional experience in Sales and Marketing as groups facilitator and trainer for multinationals. The workshops and activities take place mornings and afternoons from monday till friday included!